In this, episode 13 of the WP Builds podcast, we take a slightly different direction! We have Hani Mourra on, telling us about his experiences building a WordPress plugin in the podcasting space. 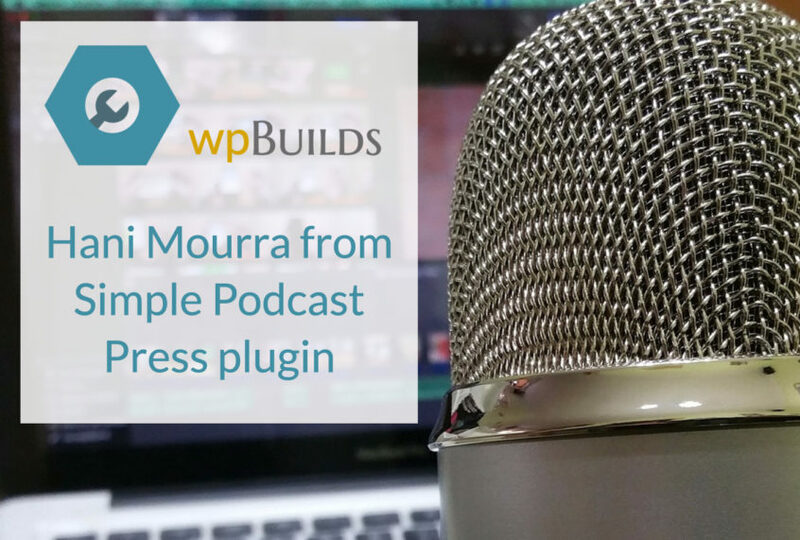 Hani is the author of ‘Simple Podcast Press’, a plugin designed to make it really easy to get your podcast syndicated and on your website in as few clicks as possible. The conversation does not just revolve around the plugin though. We talk about the value of podcasting and how it can increase your credibility in your own market. We talk about what makes an effective podcast and if there any gotchas that anyone embarking upon a podcast career ought to know about. There’s also a special treat – a discount code for Hani’s Simple Podcast Press and Simple Social Press. If you use the coupon code ‘WPBUILDS‘ at the checkout, you’ll get 25% off his plugin. Nice plugin, nice guy, nice podcast episode! This week, the silly English phrase is… “Don’t get your knickers in a twist”! This means don’t get worked up about things!